Treat Factory has done it again. They have truly created something so unique and incredibly delicious that it will leave your mouth-watering after each vape hit. Treat Factory Lemon Glaze has a vape flavor profile that is so similar to a lemon icing glazed cake. You get it a little bit of everything in this dessert flavor e-juice. You get some flavors of sweet and sour. This will be one dessert flavored vape juice that will be hard to put down. It seems that the more you vape Treat Factory Lemon Glaze, the stronger the flavor keeps getting. 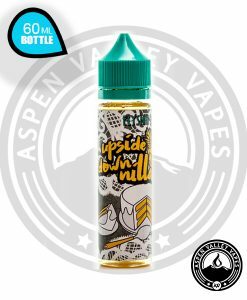 If you have a sweet tooth like all of us here at Aspen Valley Vapes or you like dessert flavored vape juices, then this is the ideal flavor for you! 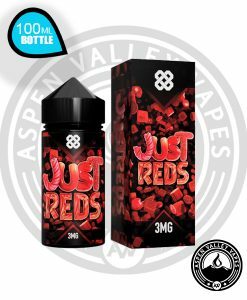 If you have tried the other two flavors by Treat Factory, then you know they do not hold back packing tons of flavor in one tiny 60ml bottle. Treat Factory Lemon Glaze doesn’t separate from the pack with its dessert flavors. When you begin to vape Treat Factory Lemon Glaze you will instantly taste the sour tang of lemon cake icing. After the lemon cake icing flavor, you are instantly treated with the flavor of sweet pound cake. You may have to look down to see you are truly not eating a lemon icing dessert because that is how close this vape juice flavor actually is! Who needs to eat real lemony desserts when, this vape juice flavor would rival any of them? Grab one today! Treat Factory Lemon Glaze is currently offered in nicotine level options of 0 mg, 3 mg and 6 mg. Normally I don’t like lemon, but I like this lemon flavor. Very Good. such a unique, tasty juice! stuff tastes so good in pretty much any device i put it in!